United States’ Lindsey Vonn speeds down the course during an alpine ski, women’s World Cup super-G in Cortina D’Ampezzo, Italy, on Sunday. 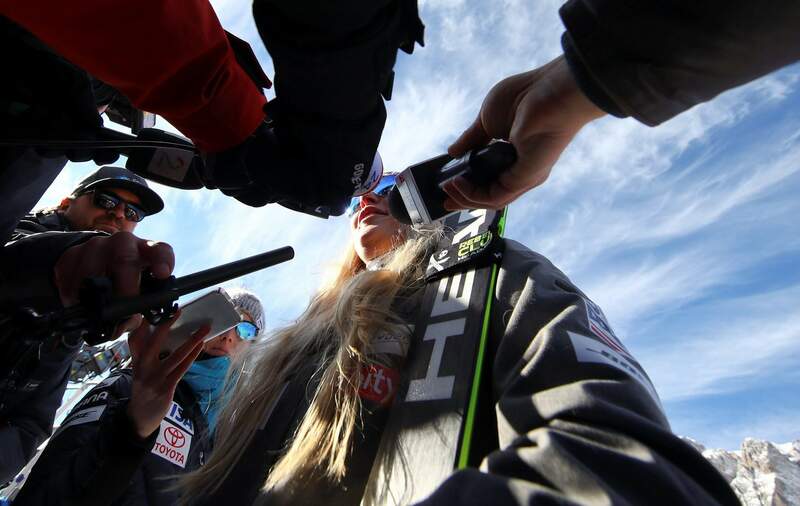 United States’ Lindsey Vonn answers reporters’ questions in the finish area after completing an alpine ski, women’s World Cup super-G in Cortina D’Ampezzo, Italy, on Sunday. 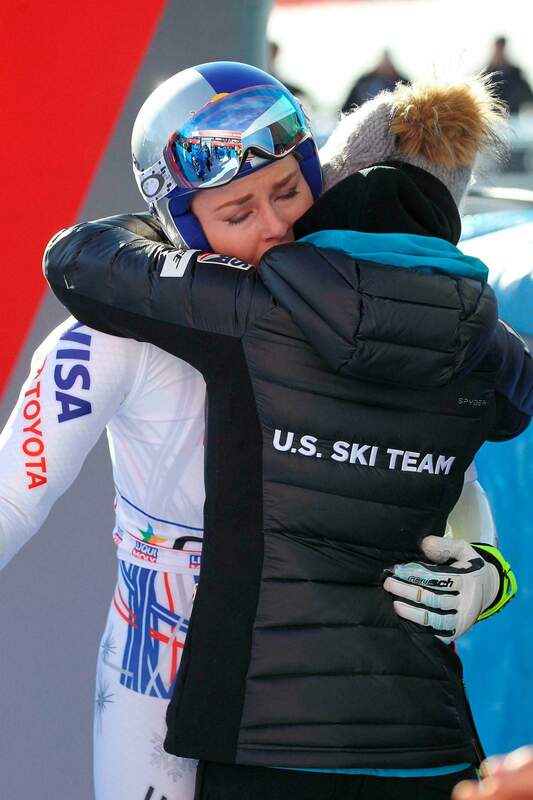 United States’ Lindsey Vonn hugs a US team staffer in the finish area of an alpine ski, women’s World Cup super-G in Cortina D’Ampezzo, Italy, on Sunday. 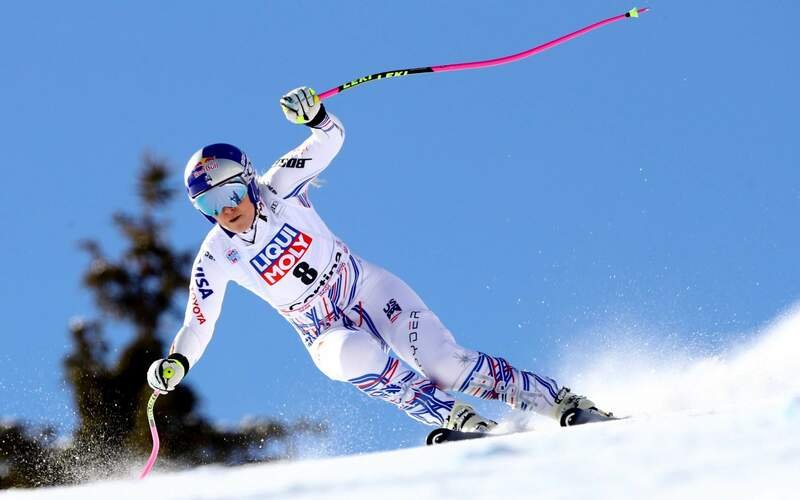 CORTINA D’AMPEZZO, Italy – What was evident all weekend for Lindsey Vonn became clear to everyone else on Sunday. Shiffrin, who has replaced Vonn as the top U.S. skier and who is on course for a third consecutive overall World Cup title, earned her first win in Cortina.